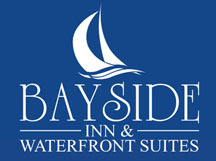 Set along the shores of Lake Ontario and conveniently located just 15 minutes drive (10 km) from the historic Kingston, Ontario downtown, Bayside Inn & Waterfront Suites is a waterfront boutique hotel that blends a warm and relaxing ambiance of a lakeshore theme with accommodations encompassing a tasteful décor, comfort, and class- making it an ideal choice to stay in Kingston for business, leisure, or your next romantic getaway. We provide a wide selection of guest rooms and suites ranging from economy, deluxe, and waterfront - all there for guests to enjoy. Upgraded amenities to pamper yourself in all Deluxe, Waterfront, and Waterview rooms including: duvet bedding systems, luxury bathrobes, additional living space and kitchenettes. The Lobby - Best place to Get Social over breakfast, meetings or for any occassion!